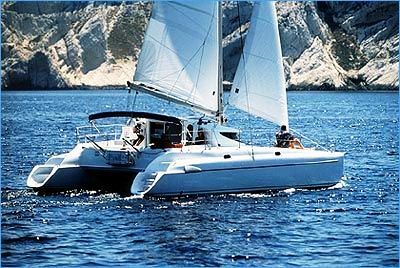 This Greece based Athena 38 is a functional blend of efficiency and intelligence in design. The salon area is spacious with great visibility. 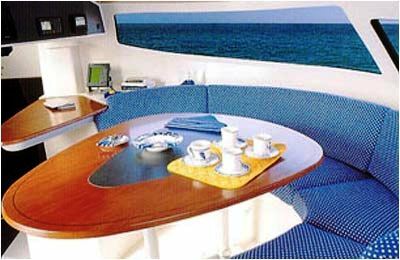 The galley and salon are sizeable and capable of catering for your entire party and any friends you may invite aboard. 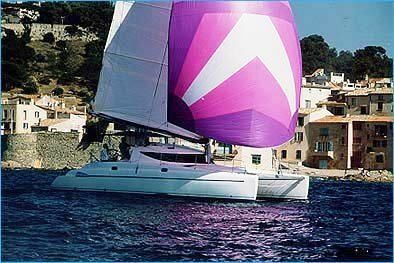 This Greece Athena has comfortable sleeping for 8 with two double cabins forward and two aft. 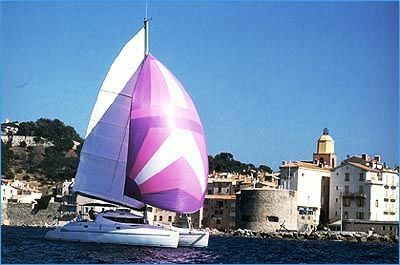 Two heads are standard in each hull. 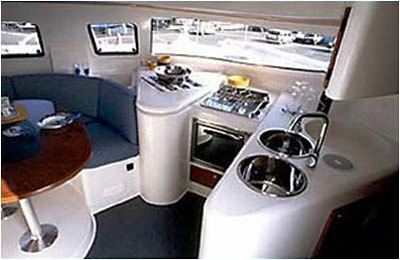 Single berths are also available in the saloon. 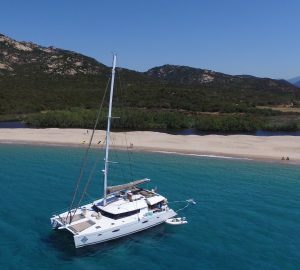 The Greece Athena 38 has slab and roller reefing, one wheel steering and electric anchor winch. 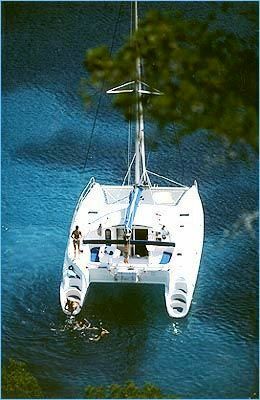 There is a bimini and dodger over the companion way, an ondeck shower, swimming and boarding ladder,BBQ,AM/FM radio & CD player, fully equipped galley with LPG stove & oven, fridge/freezer, pre-charter cruising guides, full boat and chart briefing. 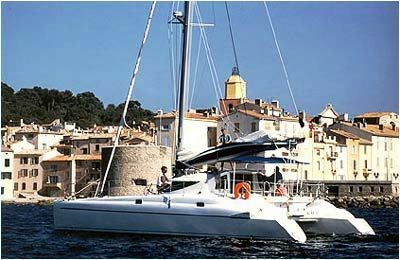 Optional extras include an outboard engine for the tender, sea kayaks, a skipper and a provisioning service.